Do you work with other coaches and want to keep all of your clients under one roof? Well lucky for you, you can add as many coaches to your TrueCoach account for no additional cost! When you add another coach to your account, you will have officially created a Team Account. 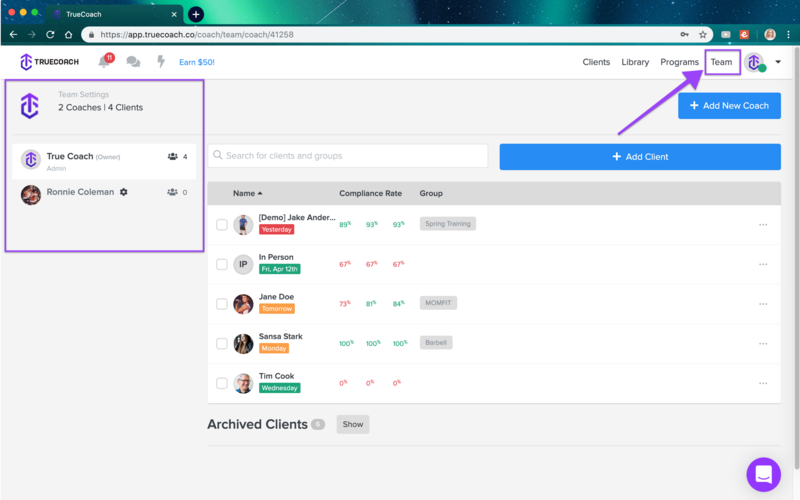 This means that all programs and library items (metric sets, documents, demo videos, etc) will be available for any coach on the team to view and use for their clients. To add a new coach, click Team at the top right, then click Add Coach and enter their information. Once Ronnie's been added, he will receive an email invitation to create a password and start training his clients. 💡 What if they already have a TrueCoach account? We've got you covered! The customer success team can transfer that coach onto your account with all of their active clients. We'll just need that coach's email address and their written approval in a message to [email protected]. Once we make the transfer, their login credentials will remain the same, but they will now see the contents of the team account in the library, programs page, and team page. The owner of the account will be responsible for the monthly or annual TrueCoach subscription. 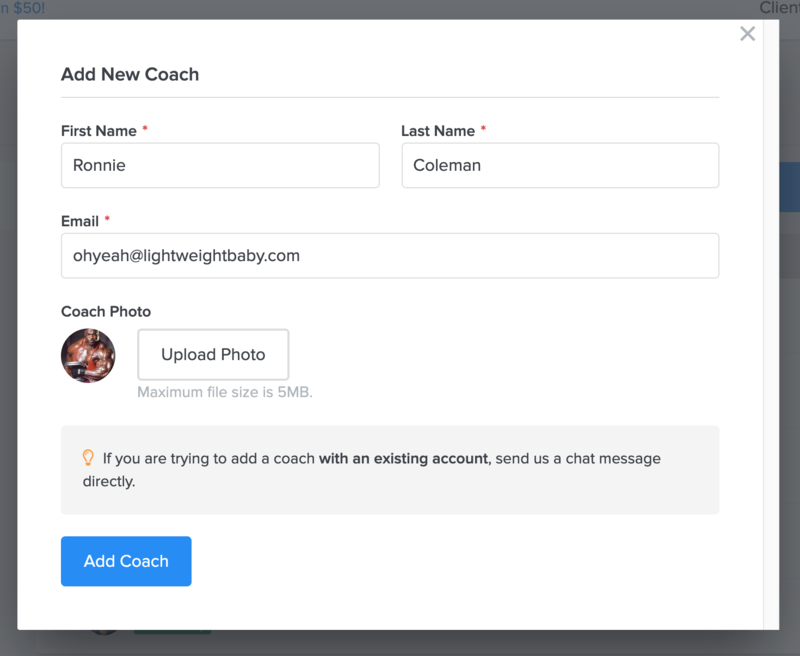 The subscription will be based off of the cumulative client count between all coaches. So, if you have 5 coaches total (including owner), all with 20 clients, you will need a subscription that allows for 100 clients. **Note: if you request an existing coach be transferred onto your team, their subscription will be cancelled upon transfer: they will not be billed again. As the organization owner, you have full oversight and management into the account. Admin Privileges are the layer of permission settings we built for each coach. Regardless if admin privileges are on or off, your coaches will ONLY be able to send direct messages to clients assigned to them. What happens when a coach leaves the organization? Organization owners can delete coaches from the team account at any time. On a team account every client, program, and anything saved in the library is considered the organization's intellectual property. It is important to outline this with your coaches prior to addition or transfer to the team account because if/when they leave the organization, their clients will be automatically transferred to the organization owner. Any programs or library items will remain on the Team Account after they've been deleted. If the departing coach opens a new TrueCoach account, the organization owner can transfer their clients to the new account. Read more on transferring client accounts here. If there are programs or videos that are approved for transfer to the departing coach, please contact [email protected] for further steps.